October is Breast Cancer Awareness Month, and we here at beautytiptoday.com, wish to celebrate all women at all stages of life. And we also applaud beauty companies that take up the important battle against this awful disease. We are making significant strides, but the war is not over. Thank you to Jane Iredale Mineral Cosmetics. 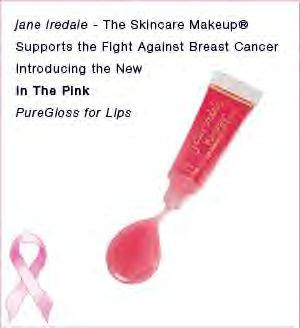 The very popular makeup brand has created a new, soft and lovely pink lip color called, In The Pink, PureGloss for Lips ($19, http://www.janeiredaledirect.com/) for this purpose. 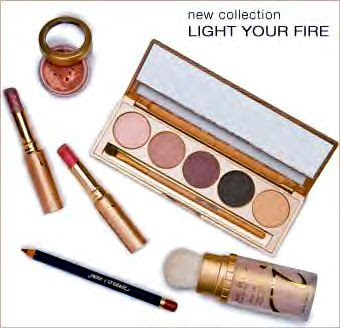 Jane Iredale makeup is also sold at salons, spas, and medical offices around the globe. "With each lip gloss sold, Iredale Mineral Cosmetics will donate $2 to Living Beyond Breast Cancer, a non-profit organization dedicated to breast cancer awareness, education, and research. Together, we can give all women living with breast cancer hope and a bright future. In The Pink PureGloss™ for Lips is a universally flattering translucent pink gloss."